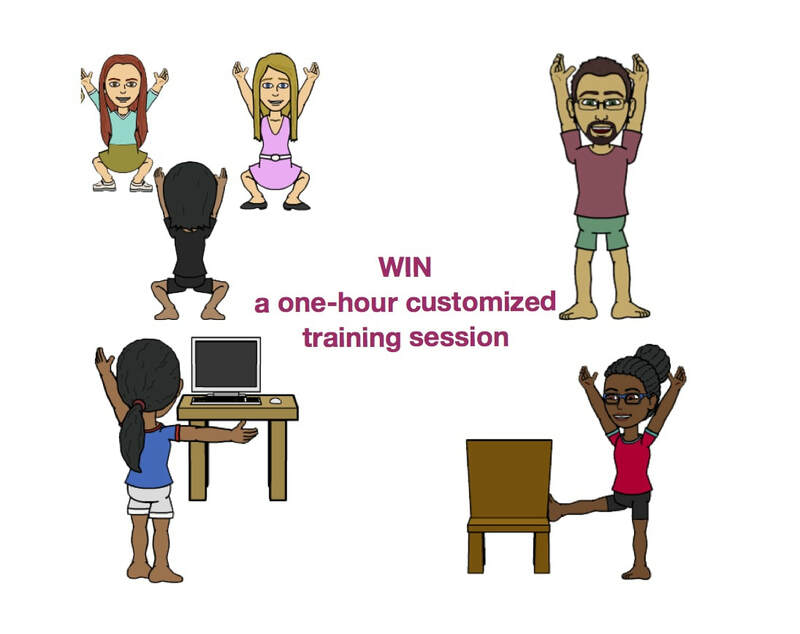 Enter below to win a one-hour customized training session. ​The session can be one-on-one - Essentrics, personal training, or movement coaching; or group-based - a corporate Essentrics class or a movement workshop. Take your pick! To enter, complete the form below with your name and email address. The winner will be announced LIVE on Facebook, on Tuesday, October 10th, 2017. One entry per email address. For more information on the services I offer, please feel free to browse my website. You can view videos here: Videos. Disclaimer: If you are located within my core area, the session will be delivered at your home or office. If you are located outside the core area, training will occur online.